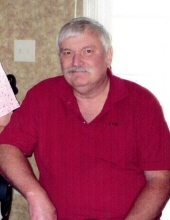 Celebrating the life of Luther Russell Cox, Jr.
Obituary for Luther Russell Cox, Jr.
Westminster–Luther Russell Cox, Jr., 67, of 111 Scrub Street, passed away, March 22, 2019, at his residence. Born in Oconee County, he was the son of the late Luther Russell Cox, Sr. and Vera Duvall Cox. Luther owned and operated the Varsity Sandwich Shoppe in Walhalla for 27 years. He was also the former Camp Commander for the Sons of Confederate Veterans in Seneca. Survivors include his son and daughter in law, Jason and Lindsy Cox of Westminster; granddaughter, Alyssa Cox and two grandsons, Trevor Loven and Cason Loven. A funeral service will be held at 5:00 pm, Thursday, March 28, 2019 at Sandifer Funeral Home Chapel, with burial to follow at Pleasant Hill Baptist Church Cemetery. The family will receive friends 4 - 5 pm, prior to the service at Sandifer Funeral Home. To send flowers or a remembrance gift to the family of Luther Russell Cox, Jr., please visit our Tribute Store. "Email Address" would like to share the life celebration of Luther Russell Cox, Jr.. Click on the "link" to go to share a favorite memory or leave a condolence message for the family.